John’s Note: When we asked two of the nation’s top bass fishermen, Denny Brauer of Camdenton, Missouri, and Mark Davis of Mount Ida, Arkansas, to give our readers the best information on how to catch bass at this time of the year, they somewhat surprised us when they both named the buzzbait, a top-water lure, as their number one choice for late fall and wintertime bass fishing, although they also selected other baits. 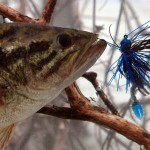 Many people don’t realize that in the late fall and the early winter, bass still will take top-water lures. 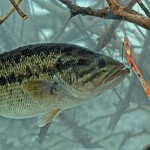 We’ve asked the pros why, what lures we should fish, and how to fish those lures. 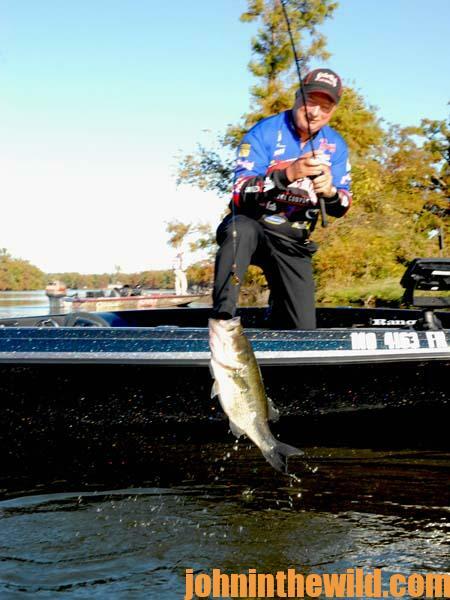 Although Denny Brauer, one of the most-successful tournament bass fishermen in the world, is now retired, his fishing prowess is renowned from fishing the Bassmaster and other tournament circuits. Most people just cast-out the buzzbait and reel it back in to the boat. But to get the most strikes, you have to experiment with different types of retrieves. You don’t want to get into that robotic mode where you just throw out the bait and reel it back to the boat. 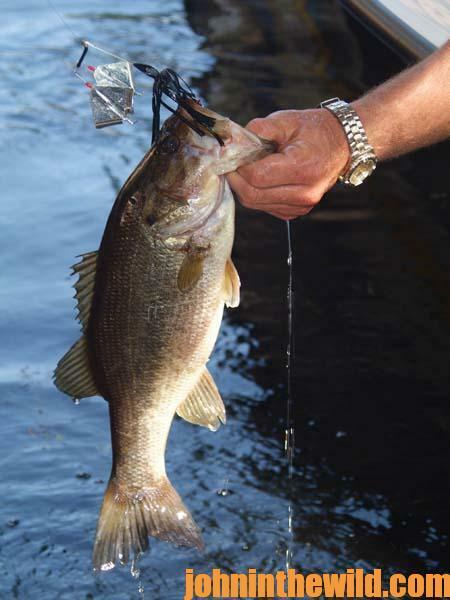 The bass may have taken that buzzbait, if you’d reeled it really fast or very slowly, or made it spit water by giving it an occasional quick jerk. 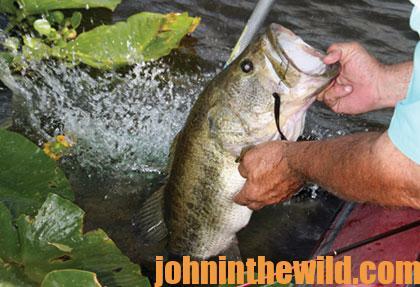 Since the speed of retrieve is very important to success when fishing the buzzbait, experiment with your retrieve. 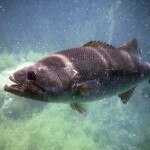 Let the bass tell you by the number of strikes you get which type of retrieve they prefer on the day you’re fishing. A retrieve that works well for me in the fall is to run the buzzbait fairly fast, until I reach a piece of cover. Then I slow-down the bait as I go by the cover and speed up the bait as I leave the cover. I’m convinced that the secret to catching bass on a buzzbait at this time of year is to fish the buzzbait with a wide variety of retrieves and not to just cast out the bait and use a single retrieve. The Strike King Buzzbait (www.strikeking.com) comes with a trailer hook on it. Don’t take off that trailer hook, which is an important piece of the equipment. 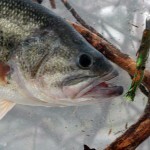 You’ll get short strikes at this time of year, and the trailer hook drastically will increase the number of bass you hook. You won’t get hung-up any more using a trailer hook than you will if you don’t have a trailer hook. 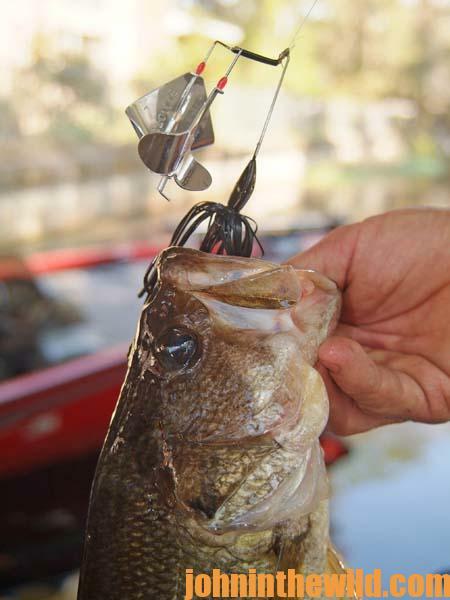 Strike King has added the trailer hook to the bait to help you catch more bass. When fishing the buzzbait, I prefer 17 or 20 pound test monofilament line. If you like to fish braided line, you can. However, I’ve found that braided line, since it doesn’t have any stretch, tends to cause me to pull the bait away from the bass more often than monofilament line does. So, if you’ll be using braided line, use a softer-tipped rod. I like to fish the buzzbait on a long rod. 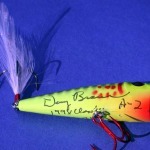 My favorite is the Ardent Denny Brauer 7 foot, 5 inch Flip-n-Pitch fishing rod, which has a fairly-soft tip, yet has enough backbone to hook the bass, even at the end of a long cast. I use an Ardent XS1000 6.3:1 casting reel, a fast retrieve reel, because it makes buzzbait fishing much easier, without having to turn the handle a number of times.